A four bedroomed timber framed home, with extensive excavations, retaining wall and landscaping. Heating provided via a ground source heat pump and underfloor heating on all three levels. The house has also been fitted with luxury bathrooms, kitchen and also benefits with heat recovery and ventilation system for greater energy efficiency. 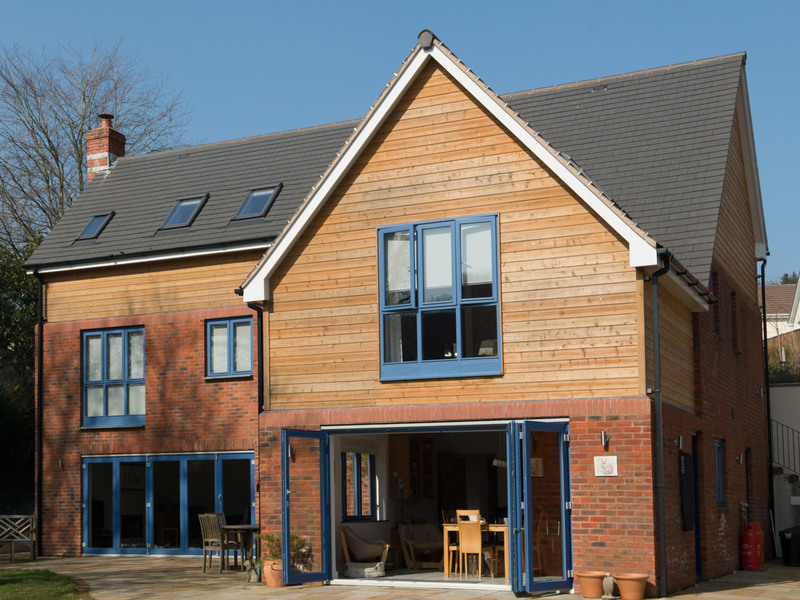 Brickwork mixed with TG&V Western Red Cedar cladding, high spec timber windows and slate roof.